Cape Town - The Springbok Sevens team on Saturday secured wins over Samoa and Zimbabwe to top Pool A at the end of the first day of the Cape Town Sevens despite a close defeat against New Zealand in their last match. The Blitzboks won 22-12 against Samoa and 43-0 against their African neighbours and despite a 26-21 defeat against the All Blacks Sevens, they qualified top of the group due to a superior points' difference. They will face Scotland in the first Cup quarter-final on Sunday. 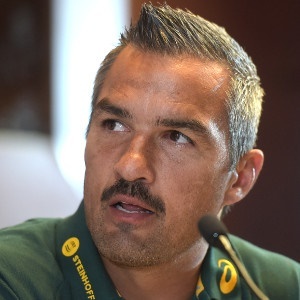 Springbok Sevens coach Neil Powell admitted afterwards that the defeat against New Zealand was frustrating, given that they conceded two late tries after leading 21-14 with two minutes to play. “We have worked so hard to get points on the board and then we concede soft tries and that was pretty frustrating,” said Powell. Powell said he will make a call on Sunday regarding the availability of Muller du Plessis. The young flyer took a hard knock against Samoa in the opening game and did not play against Zimbabwe or New Zealand. If he is ruled out, Selvyn Davids will replace the 20-year-old, who scored six tries in Dubai last weekend. "We are facing Scotland in the Cup quarters and they will be a tough hurdle,” said Powell.